ALBANY – Marion R. Gregg, 89, of Albany, died Friday, April 2, 2010 in the Hospice Inn at St. Peter’s Hospital. Marion was born November 28,1920 in London of American parentage to Francis Gregg and Maude Burns. She worked twelve years for the Engineer’s Department with the British Government. Between the years of 1954 and 1960 she worked in the banking industry at the First Trust in Albany, New York. In January, 1960, Marion joined the Mill Hill Missionary community- St. Joseph’s Missionary Society- in Albany, New York as a volunteer and took her Temporary Oath in 1961. Marion was received into the Society as a life member on March 19, 1972. She remained the sole life member of the Society until her death. Marion was a secretary to the Regional Administrator of the North American Region for 23 years. She traveled to Kenya in 1983. On her return from Africa, she was appointed to the British Region to work as part of the back-up team at St. Joseph’s Mission Center, Burn Hill. At the end of April 1988, Marion returned to Albany for retirement. Marion is survived by her beloved nephew Keith Herriet, his wife Pauline, their children Michaela, Greg and Daniel and their grandchildren Lucy, Isabel, Daisey, Emilia, Joseph, Lewis and Benjamin, all of whom reside in England. On her journey to the Lord, Marion was supported with prayers and visits from many of her friends and her church community of Christ the King which exemplified the true meaning of the Body of Christ. A heartfelt thank you to Mary Jean Willis, her caregiver and dear friend, to Dr. Jeffrey Perkins, and to all the nurses, social workers and staff at the Hospice Inn at St. Peter’s Hospital. Funeral services will be held in the Hans Funeral Home, 1088 Western Ave., Albany, Wednesday morning at 9:00, and from there to Christ the King Church, Sumter Ave., Guilderland at 10:00. Relatives and friends are invited, and may call at the funeral home Tuesday from 5-8 p.m. The parish family of Christ the King Church will gather at 5:30 pm Tuesday for a service of prayer and remembrance. All are welcome. Interment will be in St. Agnes Cemetery, Menands. In Lieu of flowers, donations may be made to Mill Hill Missionaries, 222 W. Hartsdale Ave., New York, NY 10530. 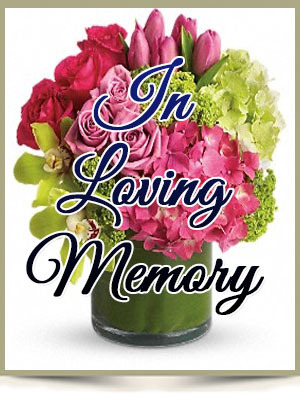 To leave a message of condolence for the family, obtain a prayer card, or obtain directions to the funeral home, please visit www.HansFuneralHome.com.